The program offers you an easy way to manage your books, CDs and other objects. 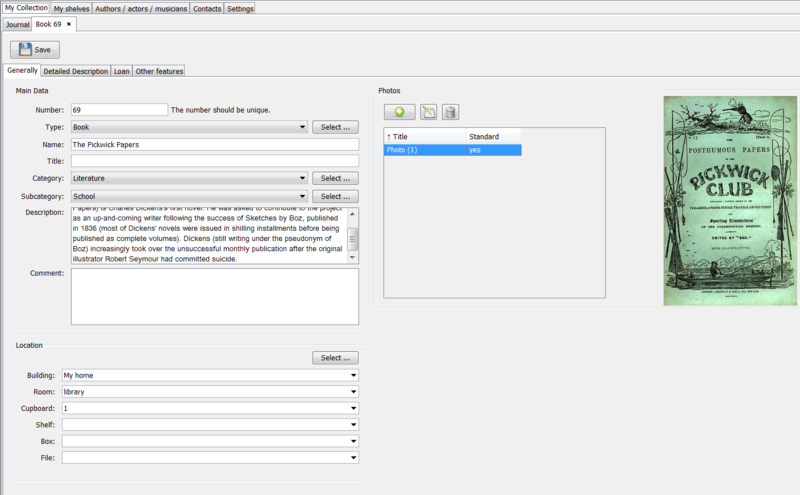 Your articles can be individually aligned to a category and subcategory. There are already pre-defined categories by default, and it is also possible to add your own categories. 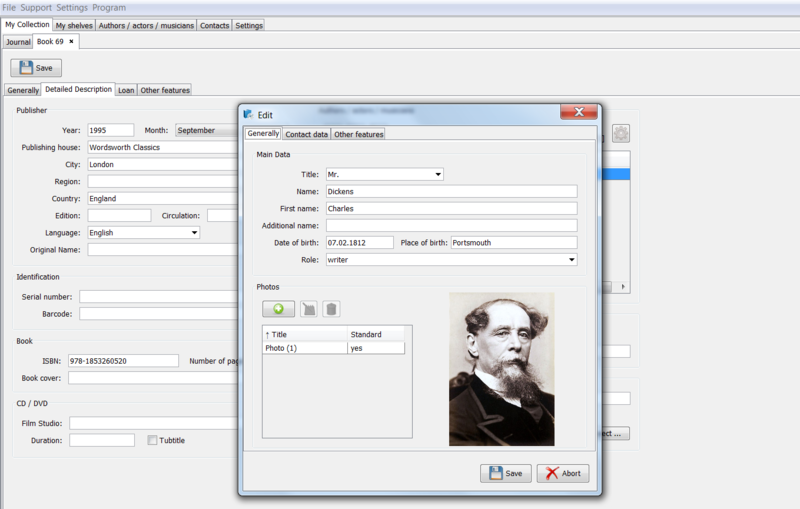 For each item, you can enter numerous features, such as: publisher, ISBN-code for a book or format and duration for a CD. In addition, you define your own desired characteristics. The Program allows filtering of the managed objects by the entered values. Each object can also have unlimited number of images. Another useful function of the program is the management of "shelves". Each item can be placed in a certain building, room, box and such. So, you can get a complete review where to find the managed objects. Furthermore, the object can be assigned to several persons with a certain "role". Role in this case means, for example, author, lead singer of a CD or user data. Moreover, for each person may be added a detailed description, such as the name, date of birth and photos. In addition to a manual input of objects the program provides with an import function, which makes possible to import multiple objects in CSV-format, for example, from existing collections of other programs. All program data is stored locally on the computer and can be secured at a different location (for the purpose of data backup or its transfer to another computer). To do this, the program has a backup function, which automatically with regular intervals offers the user to back up the data. 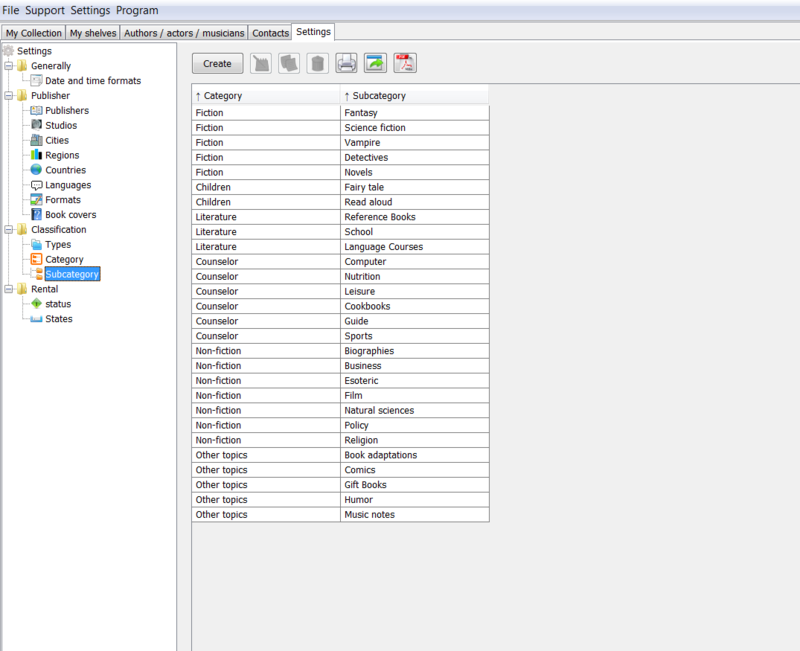 All kinds of tables in the program can be individually configured. The user defines which columns are to be displayed, the width, type of sorting and filtering criteria (search criteria) that should be used. 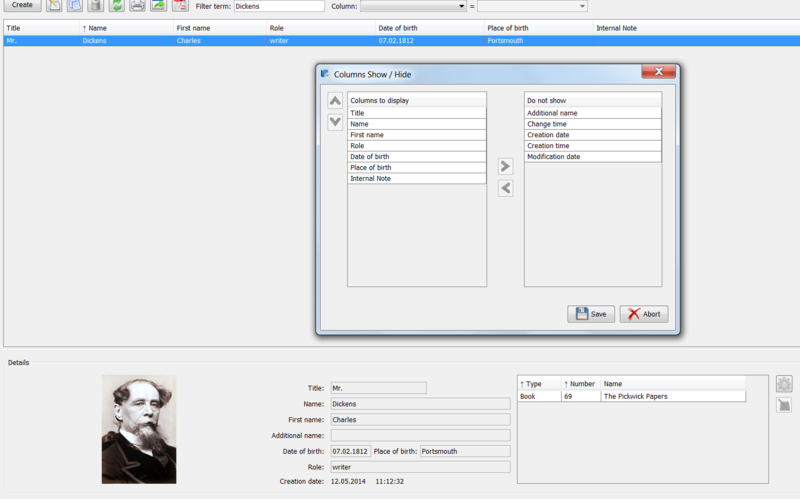 Any item lists can be printed, exported to a text file or saved as a PDF-format. The program allows you to manage the objects that were hired out to a person from the contacts list. Also, the program allows you to specify the characteristics of the contact persons, for example, address, photos, and user data. Thus, the program provides a complete overview of hired objects and when they should be returned. 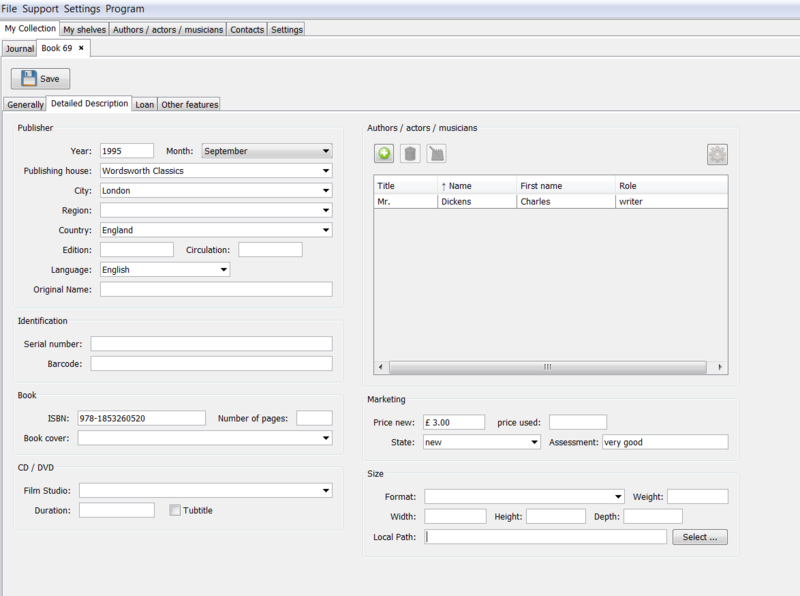 The program interface is very simple, which makes it possible to use the program without any computer skills. There is also a function to evaluate the program, which helps to optimize the functionality for future versions. The program interface is designed entirely for ease to use. In many program dialogues, there is a function of simplified input of values, so that the once entered information will be stored in the lists of values and can be selected for further input. This can save an immense amount of typing. 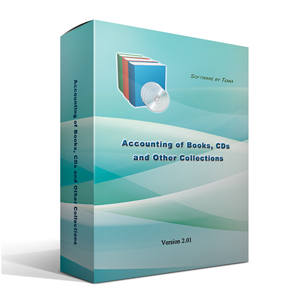 The program "Accounting of Books, CDs and other Collections" provides an excellent support to archive any collection, and is your great assistant, as well as a perfect gift for relatives and friends.